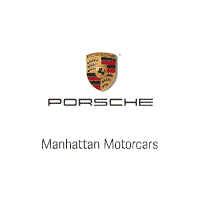 At Manhattan Motorcars, we always make it a point that we provide our customers in Kings County New York with all the things they need when it comes to Porsche cars. Whether you are looking for new or used Porsche automobiles or you are in need of services for your Porsche automobiles, we are here to extend a hand. You will also find genuine Porsche auto parts in stock so that you can easily repair and upgrade your ride. Visit us today at Manhattan Motorcars and find out what else we can offer. Kings County has been coterminous with Brooklyn in New York since 1896. The county is considered as the most populous in the New York state and is ranked second when it comes to the most populous county in the entire United States. In the 17th century, the county was known as Breuckelen, which was back then a town founded by the Dutch.